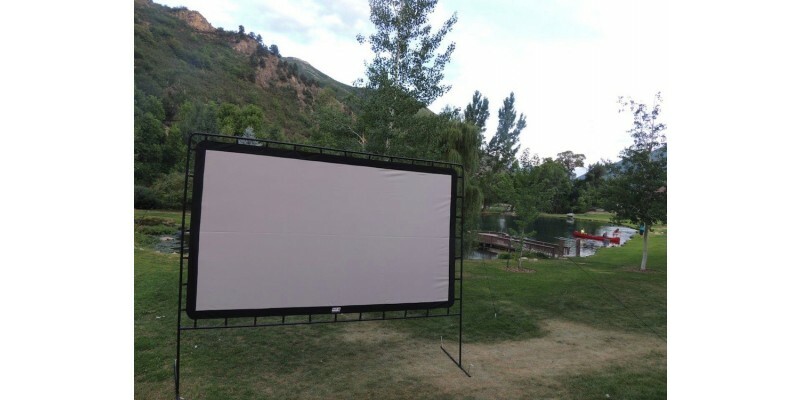 The Outdoor Bigscreen 144 is the ultimate in portable screens. It features a huge silver screen made of durable Oxford nylon reflective material for quality high-resolution picture and enriched colors. Perfect for movies, business seminars, and sporting events. 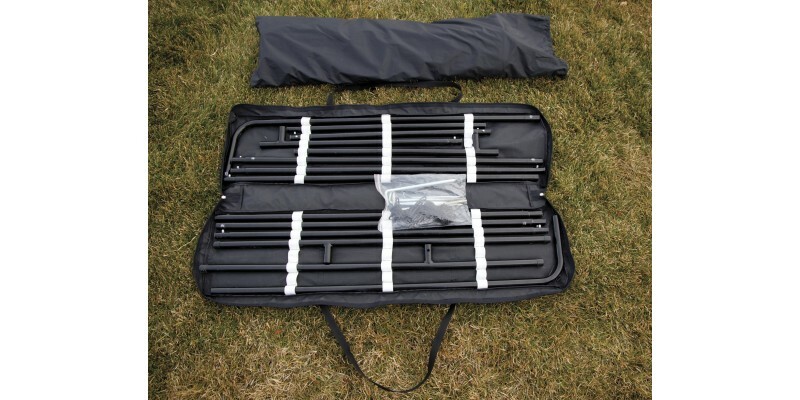 Stands on its own; also includes stakes and tie-down guy lines for increased stability. 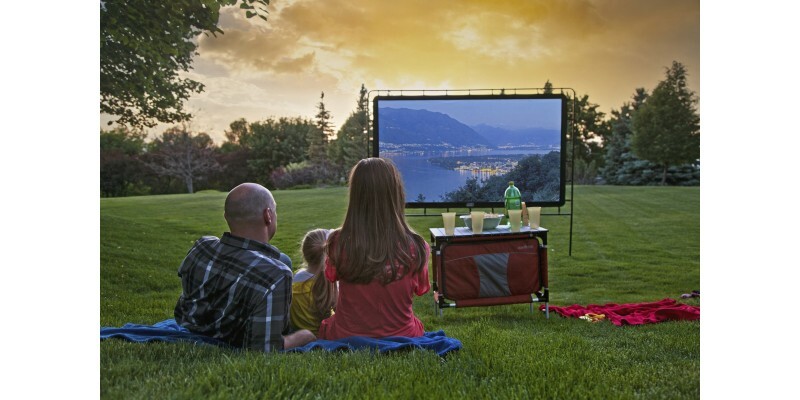 The Outdoor Bigscreen 144 is the ultimate in portable screens. 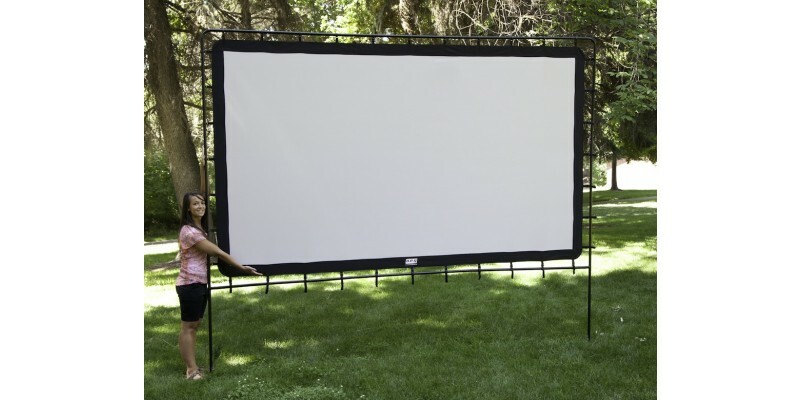 It features a huge silver screen made of durable Oxford nylon reflective material for quality high-resolution picture and enriched colors. 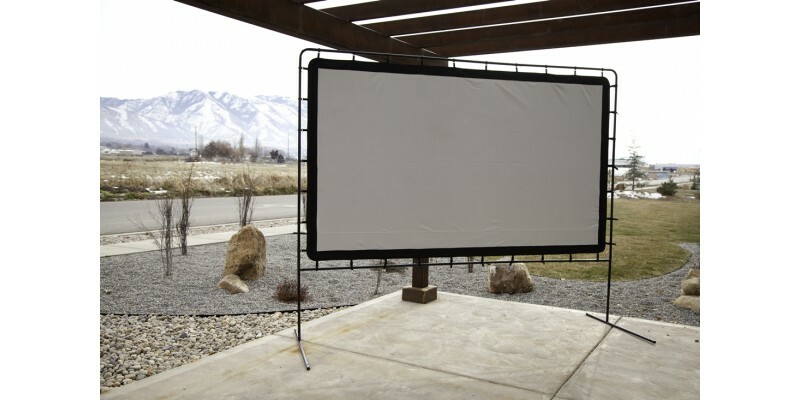 A removable black backside blocks ambient light when viewing outdoors and folds down so you can set up for rear projection. 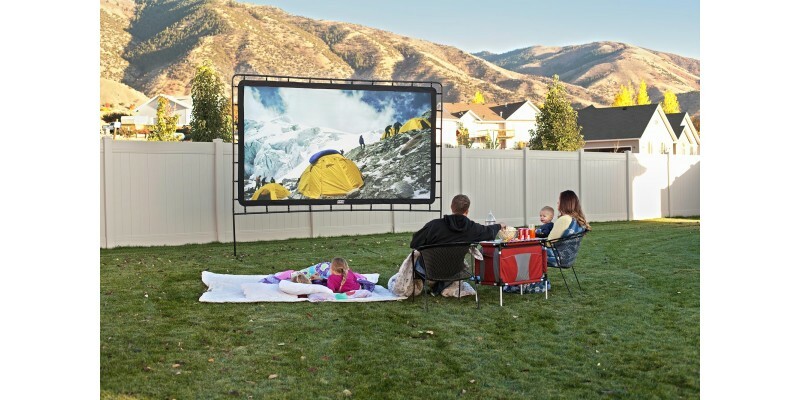 The Outdoor Big Screen 144 is lightweight and requires no noisy fans to inflate it. Its durable 1" diameter steel-tube frame keeps the screen taut for a smooth, flat viewing surface. Setup is quick and easy and in just a few minutes you’ll have a firm screen ready for viewing. Perfect for movies, business seminars, and sporting events. Stands on its own; also includes stakes and tie-down guy lines for increased stability.